We partner with other leading IT providers to deliver the most complete and reliable solutions for your message brokering needs. And for you, the client, working with a single provider is simpler and more convenient. Since 1989, M2 Systems Corporation and Hewlett Packard Enterprise have collaborated on solutions for our customers. M2 developed and deployed its first commercial version of ENGIN© on HPE technology. Since 1989, M2 has been a strategic partner and member of HPE’s AllianceOne Partner Program offering cross-industry solutions for application integration and messaging. Over the years, M2 developed financial and healthcare solutions to address the growing requirements of real-time, always available computing. The M2-HPE partnership has flourished as ENGIN has influenced over $200 million in sales of HPE technology. Today M2 and HPE share mutual customers around the world representing joint strategic vertical markets including financial, healthcare, retail, telecommunications, manufacturing and logistics. Our shared clients include the largest and most well known financial institutions, healthcare payers and online retailers in the world. M2 solutions have been designed and architected for high-performance, business critical enterprises. These clients demand continuous availability, scalability and reliability. The M2-HPE partnership is more than technology. M2 participates in HPE early adopter programs to regularly test and certify business solutions on the latest HPE servers and software. Our companies meet to discuss, plan and execute marketing programs, events, training and joint sales activities. Bob Kossler, Director, WW Operations, Technology and Planning of Mission Critical Solutions for Hewlett Packard enterprise says “M2 offers world class software solutions that perform very effectively running on the NonStop always on, fault tolerant operating environment. Clients running M2 on NonStop are transferring billions of dollars every day to run their businesses very securely, reliably and effectively”. M2’s product suite is available on the entire line of HPE platforms, from NonStop to Linux. Fortune 500 companies rely on M2 and HPE to deliver the industry’s best price-performance technology and applications. Contact M2 for more information on how we can help your organization turn data into power. As an IBM PartnerWorld member, M2 utilizes our partnership with IBM to acquire the latest development tools, application and web services, databases and communications technology in support of our mutual clients. M2 Systems has many customers successfully running high-volume, business critical transaction processing systems on IBM servers. M2 Systems has collaborated with Arrow Electronics since 2012. Arrow’s OEM Computing Solutions business builds, manages and services the hardware for M2 Systems’ successful ENGINAIR (Advanced Integration Resource) product line. Arrow integrates all of the hardware, including select Intel processors, for M2 Systems into a single, deliverable appliance—freeing M2 Systems up to focus on its core competencies and maximize productivity. From embedded components to software to integrated systems, Arrow’s OEM Computing Solutions business is the distribution and outsourced integration partner of choice for the biggest names in technology, including Microsoft, Intel, Dell and Hewlett Packard. M2 Systems has partnered with Oracle to provide our customers with the most current database technology and services available. For our clients that already have an Oracle license, you can easily add M2 solutions to your enterprise. M2 is an authorized reseller and support agent for Oracle’s database products as part of the Oracle PartnerNetwork (OPN). M2 leverages the benefits of OPN that include education, development and joint sales and marketing. OPN offers M2 access to Oracle’s compelling product portfolio and the ability to sell products that are market-leading and well accepted in the marketplace, as evidenced by Oracle’s large installation base. +1 (800).ORACLE1 or visit on the web at www.oracle.com. Leveraging Technology helps customers maximize the business value from their investments in information technology. We are accomplished middleware integrators and architects, founded in 1998, with over 130 certifications. We couple our enterprise architecture expertise with a deep understanding of integration to improve agility, flexibility and time to market with practical solutions. No technology is used in isolation, so Leveraging Technology’s depth and breadth of experience, combined with an architecture mindset, make us uniquely qualified to connect the dots in an overall solution. We use solid integration patterns, which are technology and platform independent, to design and deliver hybrid, cloud or on-premise integration solutions. Our Interaction AwareTM service in the cloud enables real-time visualization of customer, system and B2B interactions – meeting the demand for consolidated visibility across applications, platforms and companies. Leveraging Technology helps customers simplify, innovate and better enable their organizations, removing complexity through creative design, linking their systems of record, engagement and insight. M2 Systems Corporation and Leveraging Technology have partnered to provide our clients with product, industry and services expertise for enterprise integration projects. Combining the strengths of M2 Systems for solutions in healthcare, finance and cross-industry, along with Leveraging Technology’s world-class service delivery capabilities enables our clients to achieve success from design to delivery. Leveraging Technology’s “gap-free” technology strategy ensures our clients deliver the right solutions the first time. M2 Systems and Leveraging Technology bring over 55 years of collective experience and expertise to your complex integration projects. Leverage the best in integration…Leveraging Technology and M2 Systems. M2 Systems develops and deploys high-performance transactional solutions for the financial and healthcare industries. ENGIN©, M2 Systems’ flagship integration platform, is designed and developed to support technology platforms provided by Red Hat. 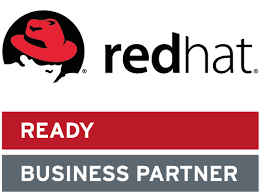 M2 Systems and Red Hat provide transaction solutions around the globe. ENGIN, and M2 Systems’ healthENGIN© All-Payer EDI Solution, utilize RHEL and JBoss® to enable unmatched value and reliability.